How to Tell if Water Has Gotten into Your Watch – I Already Have a Watch. 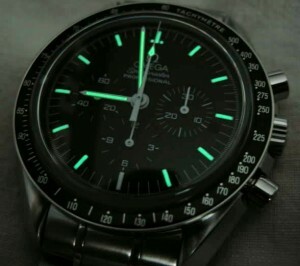 Omega Speedmaster Professional with 6 o'clock marker that no longer glows. Water damage turned out to be the culprit. It goes without saying that water has obviously gotten inside the watch if condensation is observed inside under normal conditions. 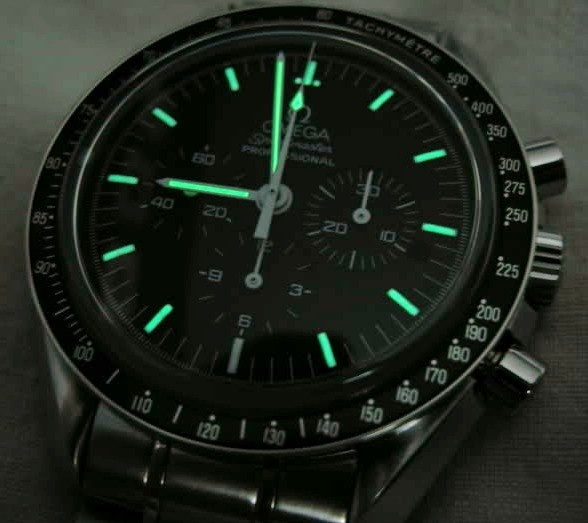 But aside from that telltale giveaway of condensation, sometimes otherwise unexplained symptoms can present that might indicate that there’s water inside the case, among them luminous material on hands or dials that appears to darken or suddenly ceases glowing. It can be helpful to use this method to test for the presence of water to help figure out what’s going on, or even just as a precautionary measure or indicator to help determine if a watch needs to be serviced. Gently heat the watch. Don’t *cook* it, just get it warm to the touch. Watchmakers typically use an electric warming plate, but some easy ways to do this with everyday methods are using a lamp, heater or even a hair dryer. 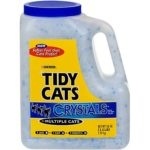 Place a drop or two of cold water on the crystal. Melting a few drops from an ice cube works great. Wait 10 seconds or so and wipe the water away using a soft cloth. If no condensation or condensation that goes away within a few seconds forms, the watch is fine. However, if condensation forms on the underside of the crystal that does not fade away after a few seconds there is water inside the watch and the condition needs to be addressed immediately. If there’s water in the case, it needs be taken care of immediately to prevent potentially permanent damage to the watch. If you have the proper tools and skills, it can be as simple as opening the case and allowing it to dry near a gentle heat source, taking care to prevent dust from being allowed to get inside the case. However, even if you manage to dry the watch out this still won’t do anything to identify or fix the problems that allowed the water to get in there in the first place and won’t prevent it from happening again. Drying the watch out may halt the damage from occurring but won’t do anything to fix aging or improperly fitted gaskets, crowns, and crystals. So a better and more thorough method especially for rare or valuable watches is to get the watch to a watchmaker immediately especially if you the water inside may be chlorinated swimming pool water or seawater, both of which are especially corrosive in watch movements. If you can’t open the case or get it to a watchmaker in short order or can’t get the case opened to dry it out yourself, there are some options that might help mitigate the damage until it can be properly remedied. The best thing to do is to seal the watch in an airtight container or plastic bag with a material that will act as a desiccant and store it in a warm place. 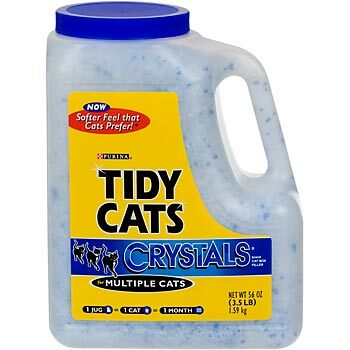 Some good examples of commonly available desiccants are purpose-designed drying products like calcium chloride products like Damp Rid from hardware or home improvement stores, “crystals” type cat litter (the white, pure silica gel kind is better than the kinds blended with gray clay but even it can help) or even dry rice. A commonly recommended method is to gather as many of the “do not eat” silica gel packets that come with camera equipment and such. However, unless they’re very new there’s no telling how much of their absorption potential may have already been expended. Depending on the nature of the fault(s) that allowed the water inside, this may help draw out at least some of the water. Or if you get really desperate, an unconventional option is to double-seal the watch in plastic bags and/or airtight containers (with or without a desiccant material) and simply place it in the freezer. This will cause the water to freeze solid and will stop or at least greatly slow any corrosion. This temporary measure is only helpful at slowing the damage until it can be addressed properly. NOTE: this should *not* be used for quartz or electrical watches as it can cause batteries to leak, and should not be done if there is sufficient water inside that it can be seen sloshing around visibly as expansion on freezing can cause damage. The freezing method is less than optimal however, as once the ice melts there will be water inside the case again so it still must be opened as soon as possible upon removal. DO NOT attempt to bake the water out in a household oven or using other methods using excessive heat. Unless you know exactly what you’re doing and are very careful you’re going to cause permanent damage to the watch. Baked watches aren’t tasty either. DO NOT immerse the watch in water. It is sometimes recommended to immerse items suspected of having chlorinated or salt water inside in an attempt to reduce the concentration of corrosive elements. However, even fresh water can be damaging to hands and dials of watches, so it is typically better to use one of the the expedient methods above or else get it immediately to a watchmaker.